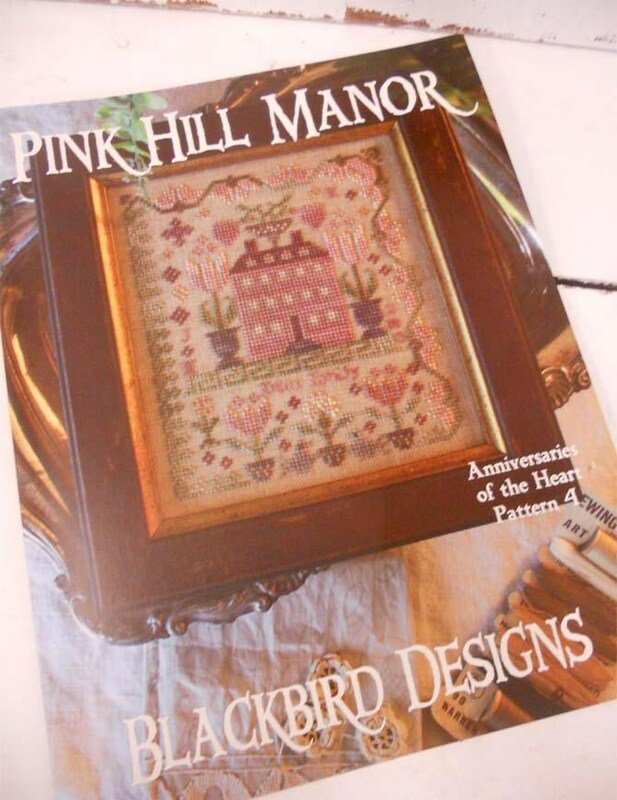 Pink Hill Manor, Anniversaries of the Heart Pattern 4, by Blackbird Designs...cross-stitch design. Pink Hill Manor project measures 5 x 5 2/3 inches. Pink Hill Manor is stitched on 30 count linen.